AMT’s Monthly Office 365 Updates keep you up to date with new features and important announcements from Microsoft. Office 365 has a continuous roll-out of changes. We filter out the announcements that we think will be most relevant to our customers, and send them out in an easily digestible form. While SharePoint’s new user experiences are designed to be simpler, more intuitive, and more powerful they also believe the administration should be just as simple, just as intuitive, and just as powerful. They’re introducing a completely revamped SharePoint Admin centre that draws heavily on modern principles. An administrative console designed to help IT achieve more so that users can achieve more. SharePoint Online Asset Library, Wiki Page, Promoted Links, and Form Template lists now have improved page performance, responsiveness, and accessibility. This is instead of being limited to classic mode. Creating modern experiences for these list types brings them in line with many other SharePoint Online elements that have been updated recently. This allows more team sites to take advantage of improved consistency and page performance, responsiveness, and accessibility. If you wish, you can choose to remain in classic mode for these lists, in advance of the rollout by adjusting your settings. Microsoft will be rolling this out gradually at the beginning of February, and completed by the end of February. Planner, Office365 Connectors, Twitter are a few of the new webparts that can be added to SharePoint Online modern pages. Microsoft will be rolling this out gradually to Targeted Release customers in early February, and completed in the coming month. This is a new in-product survey for SharePoint Online page authors. It has been introduced to improve the page authoring and publishing experience. This survey will appear when an item is published and then every 90 days after that. This means that Microsoft will be able to improve, using feedback on what you like and don’t like about the service. The rollout will be completed by the end of February. This update focuses on the search function within the iOS and Android apps. It now has its own search tab as well as a new navigation bar. Search is located at the bottom of the app, and you can tap on it to get direct access to your top contacts, upcoming travel itineraries, package deliveries, and recent attachments. You can search for emails, files, and contacts in any of your accounts from one single search box or use our new filters to narrow down your search. Additionally, your contacts and files are now integrated directly into the new search experience. You can access them by tapping on the headers of the different sections or find them through search.Microsoft will gradually be rolling this out to customers using Outlook for Android and iOS within the next few weeks. Because of investments in groups functionality for the Outlook mobile app, Microsoft have now decided to retire the standalone Outlook Groups app. The app will be removed from the App Store from mid-March and current users will be able to use it until May 1st, 2018. Outlook add-ins allow members to access their favourite apps within emails to enable them to get more work down, quicker. You will now be able to deploy add-ins to individual users, groups or organisations easily from the Office 365 admin centre. This supports both app source and office store add-ins. Roll out will start at the end of February and should be completed early March. Mailbox auditing now has a new action – UPDATEFOLDERPERMISSION. This will improve the fidelity of audit data to help security investigations and create a new potential trigger for security detections. Configured mailboxes, that can audit this new action, will begin to find records in the audit logs when the permissions of folders are added, deleted or modified. These records can be found in the unified or mailbox audit log through the search – mailbox audit log cmdlet. Do not take a dependency on the default set of audit actions (e.g. dependency for provisioning) as the default action set will likely change as Microsoft continue to improve auditing tools. New features in Microsoft Teams makes it an even more powerful hub for teamwork by enabling you to use apps in new ways—including the ability to take quick actions from the command box and to add apps to your new personal space. Find and use apps in new ways – Now, you can include interactive cards from apps in conversations the same way you would add an emoji or GIF. With one click, you can bring important information like a task from Trello into a channel conversation or chat. Finding new apps and services in Teams is also easier with the new Store where you can search for apps by name or category, such as Project Management or Analytics. Command apps and take quick actions across Teams – Microsoft have introduced the new command box in Microsoft Teams, a single point of entry that integrates your search and command experiences. Now, you can quickly interact with apps, perform tasks and navigate throughout Teams directly from the command box, in addition to searching across people, messages, files, and apps. When arriving on the OneDrive for Business landing page for the first time, new users will receive a Guided Tour that helps onboard them to OneDrive for Business by educating them about key features. Microsoft will gradually be rolling this out to Targeted Release customers in mid-January, and complete rollout should be completed in the coming months. 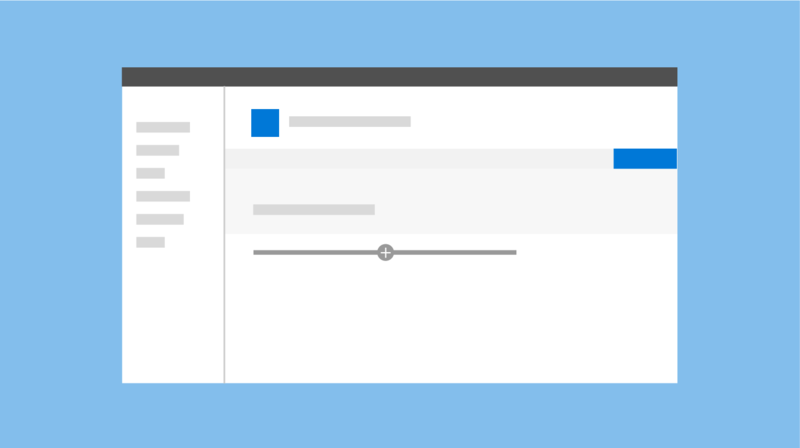 This view will allow users to see a list of files that aren’t private in their OneDrive. The types of file that show up in this view are files that are uniquely permissioned to other users, have had a sharing link produced for it, or have a pending external invitation. The rollout for this will start in early March for Targeted Release customers, and then completed by the end of March. Over the next few weeks, Microsoft will be rolling out Net Promoter Score to assist them in improving their product to meet the needs of their customers. This will consist of a small window that may appear in-product every few months to a selected sample of users, and asks the users to provide feedback on their experience with the product. The user can dismiss the window with one click or answer the question providing a score and a comment. The product development team reads and analyzes all the comments. This new help and support preview is a ticketing experience for admins to contact Microsoft Support representatives for Dynamics 365 online. This will help improve the overall support experience and drive faster resolutions. The preview feature is not complete but has been made available before its official release so that customers can get early access and provide feedback. If you are a customer, partner, or developer, you can now leverage the APIs to integrate with in-house or commercial solutions relating to or requiring the support of Intune, or other Microsoft services available through Microsoft Graph. If you’re a hybrid customer, you can use these APIs for any users or devices you have in Intune standalone. 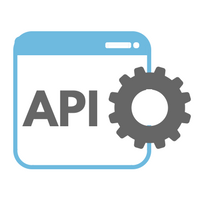 When using an API with the beta version, it will continue to work even though a new v1.0 version has been published. However, you should update to the new version after verifying that your scripts and applications work with the new path. You should know that some Microsoft Graph API’s for Intune remain in preview because they are for newly developed features. Microsoft will update the Changelog for Microsoft Graph as they complete testing and are made available. The iOS Researcher app is being retired on March 30th. This will be removed from the Apple store on 28th of February and will no longer function from the end of March. If you have people in your organisation who use this app, please advise them to move over to Word or OneNote – both these apps have the same functionality built in. Microsoft has introduced a couple of new features. Microsoft Graph APIs for Intune are generally available and Including and excluding app assignment based on groups is available. In March, you will have a toggle in the Intune on Azure console to turn security feature on or off. When the feature is in, devices with no compliance policy assigned to them will be marked as ‘non-compliant’. When Microsoft start rolling this change out in March, this feature will affect you differently depending on whether you already have compliance policies assigned or not. If you are a new or existing tenant and do not have any compliance policies assigned to your devices, the toggle will be automatically set to ‘compliant’. The feature will be off as a default setting in the console. There will be no end-user impact. If you are an existing tenant and you have any devices with a compliance policy assigned to them, the toggle will automatically be set to ‘not compliant’. The feature will be on as a default setting when the March update rolls out. If you use compliance policies with Conditional Access (CA), and have the feature turned on, any devices without at least one compliance policy assigned to them will now be blocked by CA. End users associated with these devices, who were previously allowed access to email, will lose their access unless you assign at least one compliance policy to all devices. Administrative units enable you to define a group of users (departments, regions etc.) and then delegate and restrict administrative permissions for those groups by selecting a scoped-admin for that group. Scoped Admin roles will only apply to user management in your Admin Center. When you navigate to any user management-related page of the Admin Center – such as the active user’s page, guest users page and deleted users page – you will only see the users that are part of the specific administrative unit. Targeted release customers will start to see this already and roll out should be completed by the end of Feb. Some improvements have been made within Yammer to bring more focus to topics and people. Topics, people and files will be seen in the ‘following’ home feed. Microsoft Planner is releasing a new feature which allows users to see their Planner tasks in Outlook using the iCalendar format by using an iCalendar URL. This feature will begin rolling out in early March. As previously mentioned, to provide the best-in-class encryption and to ensure the service is more secure by default, all online services are moving to TLS 1.2+ (Transport Layer Security). This means Microsoft will be removing support for TLS versions less than 1.2 from online services. This was scheduled to happen on 1st of March, however, after receiving feedback, Microsoft have now moved this to October 31st. Update where you configure your app protection policies. This change will affect both Intune standalone customers and hybrid (Intune with Configuration Manager) customers. This integration will help simplify your cloud management administration. Now, you’ll just have one blade to go in to Azure – the Intune blade – to manage groups, policies, apps, and any mobile device management. Message Centre sharing experience in Office 365. This new update will enhance user experience and increase utility making it more useful and productive. You will be able to seamlessly email individual Message Centre posts in an in-product fly-out. You can also add personalised messages and receive a copy of the sent email, yourself. Me control is the set of profile controls accessible via the user’s name and profile picture in the upper right corner. In order to simplify the user experience, the right-hand corner will now only display the profile picture. If there is no profile picture, it will only display the first and last initials. With this new update, you will be able to manage calendar delegate permissions due to the improvement of the MailboxFolderPermission cmdlet. The existing scripts that use cmdlet will remain unchanged. If you wish to add, change or delete permissions, you will be able to do this from Powershell and choose whether or not you would like to send a sharing invitation. The rollout will be completed by mid-March.